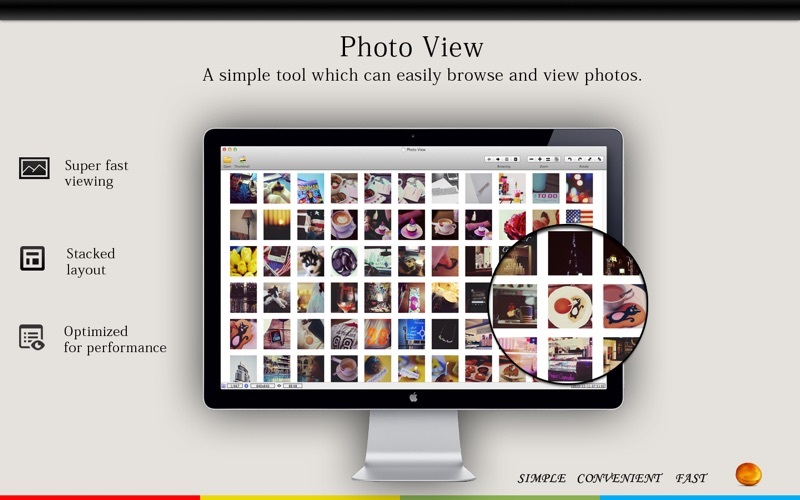 Photo View can easily browse and view photos. 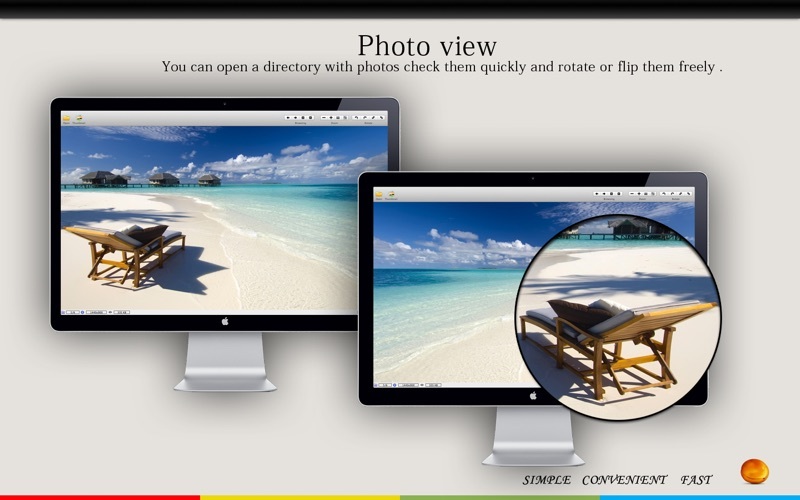 You can open a directory with photos and check them quickly. 1. After rotate the photo, it won't save, even you quit the app, no dialog prompt to inform you, you have to click Save As manually. Have add a dialog to ask you whether need save it. 2. If open a photo from Finder, the previous/next photo function doesn't work. 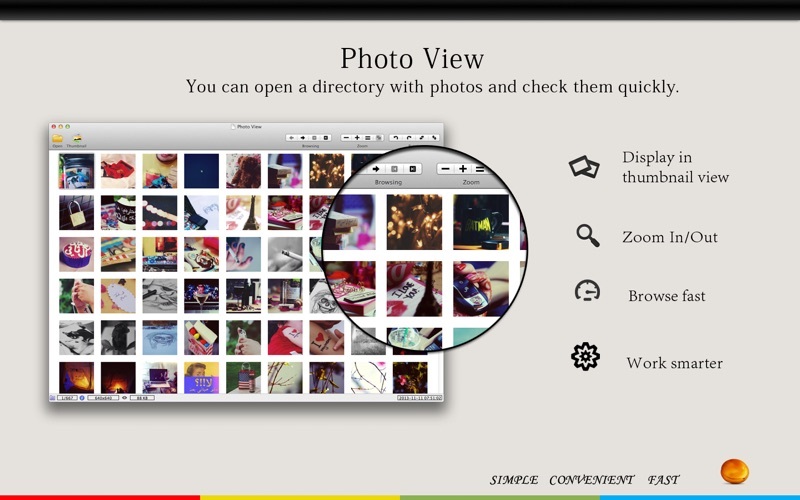 You have to open the App, then click File - Open Directory, so that you can loop through the photos in the folder. This issue caused by app sandbox, however, the app have no right to read/write the files you haven't select. We have try to add the read/write rights to Downloads Folder and Pictures Folder. So if you photo is in these places, the app will can walk through all photos. 3. The gesture doesn't work, you have to click the previous/next button OR use keyboard arrow. Have add the gestures, please have a try. 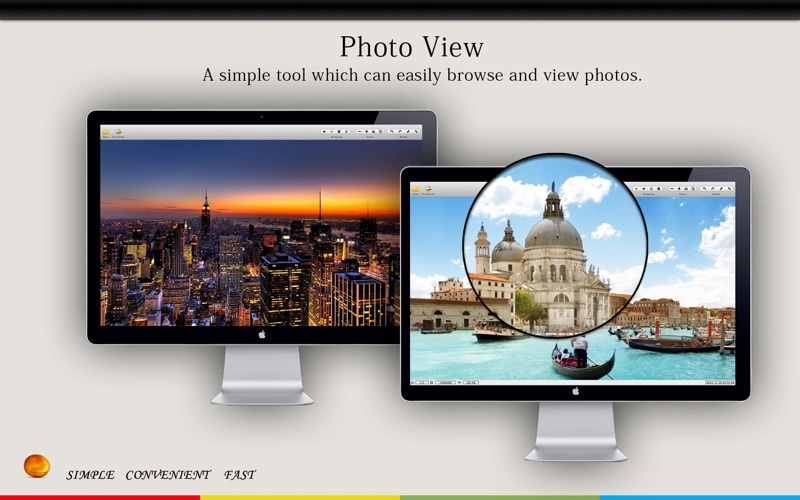 We have add thumbnail photos as ACDSee style, and the choice in directory map.